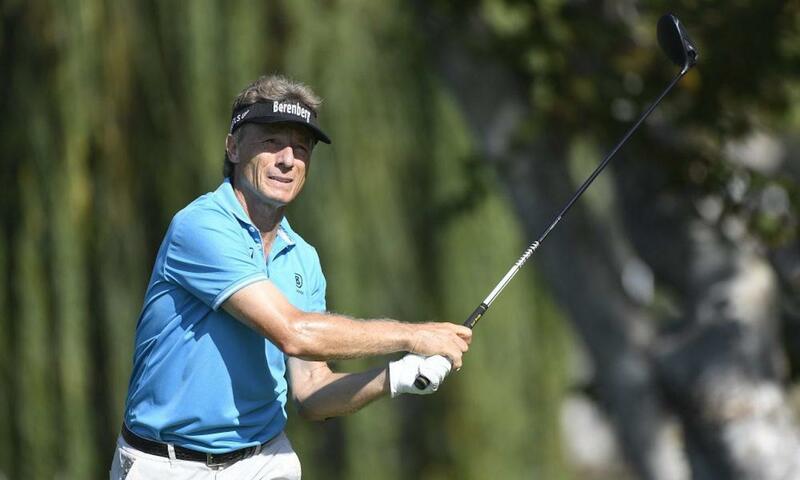 Not that Champions Tour golfers needed any warning, but it appears that Bernhard Langer has regained his form. At 61, Langer haddominated the Champions Tour for the past decade, but hit something of a slump until last week, when he locked up his first victory in 12 events at the SAS Championship. Now Langer enters this week�s Dominion Energy Charity Classic ready to defend his title. It is the beginning of the tour�s season-ending playoffs. Oddmakers believe he is back. The Westgate Las Vegas SuperBook has him as the +450 favorite to win his third event of the year. Miguel Angel Jimenez is the only one close on the betting board at 8/1. Jerry Kelly is at 12/1 and Scott McCarron and Scott Parel are next at 16/1. Langer shot a final-round 65 at the SAS Championship to defeat Scott Parel by six shots. It was his 38th Champions Tour title, and he said it was nice to be back in the winner�s circle. Though most of his contemporaries would have welcomed a season like Langer had, it was a disappointment by his standards. He won just twice, compared to seven times the year before. He also failed to win a major championship, the first time since 2013. Langer, though, said he wasn�t concerned about his results. The victory was just the momentum Langer was looking for as the tour begins its three-event Schwab Cup Championship. He finds himself ranked No. 1 in points, just like last year at this time. But Langer wants to avoid what happened last year. He won the first two events of the playoffs, then finished tied for 12th�at the championship, and Kevin Sutherland was able to pass him in points and win the title. Langer has dominated the season-ending event. He has won the Cup five times — in 2010, 2014, 2015, and 2016. In ’12, ’13, and ’17 he has finished second. Another victory would add to his legend. He has won on the Champions Tour 38 times, second only to Hale Irwin�s 45 victories. He does have the record for the most victories of a golfer 60 and older with four.